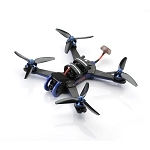 The QAV-PIKO 3" Micro FPV Quadcopter is a true x micro FPV frame. 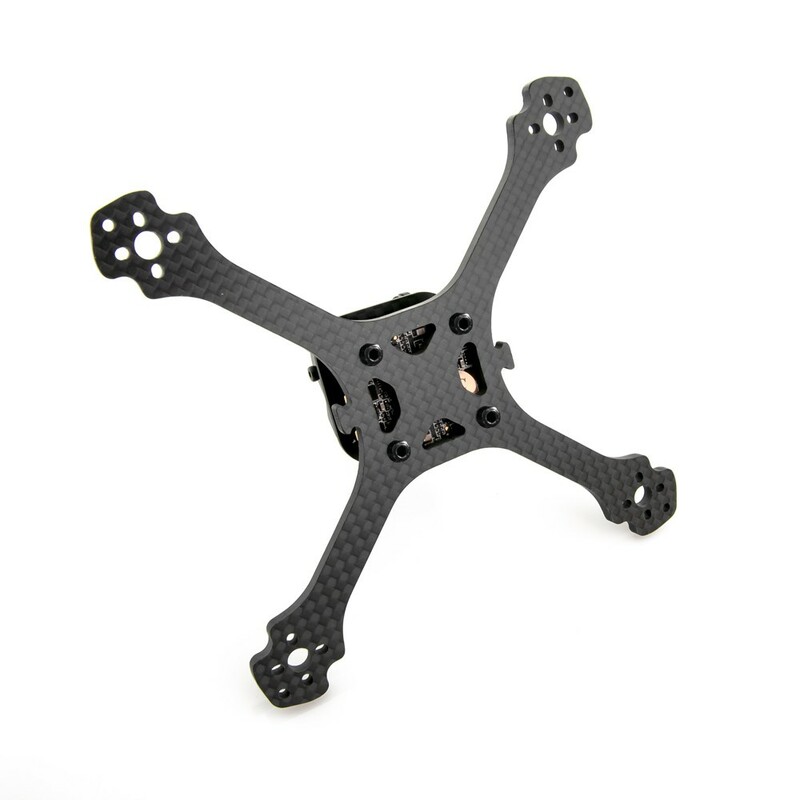 It was built using premium Lumenier carbon fiber that is super smooth and will take a beating. 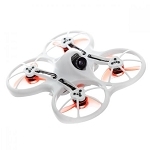 The frame focuses on symmetry and the QAV-PIKO takes advantage of this by using a standard 20x20 stack as part of the frame structure. This results in an ultralight, very clean and simple build! The kit comes with a 30cm long silicone tube that is meant to be cut into standoffs. The silicone serves two purposes, one, you are able to cut them to the exact height you want, and two, they serve as a "soft mount" for your electronics, giving you less vibration to your FC. 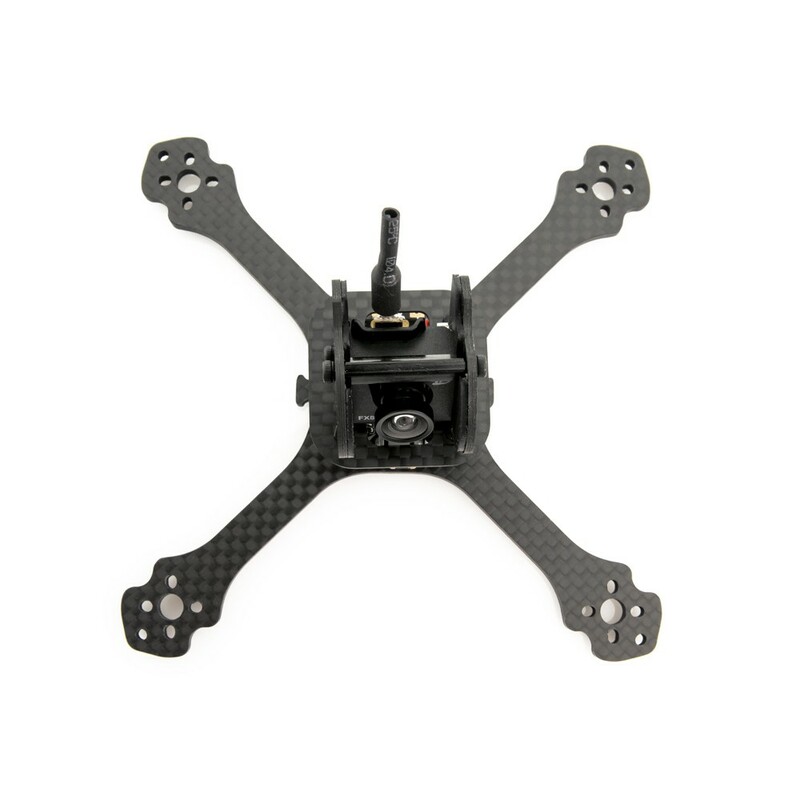 The frame features a solid 3mm thick main plate and 1.5mm top plate and side plates to protect your FPV camera. The side plates slip into slots on the top plate for a press fit while the included long screws will thread all the way through the main plate through your FC and ESC stack, to the top plate. 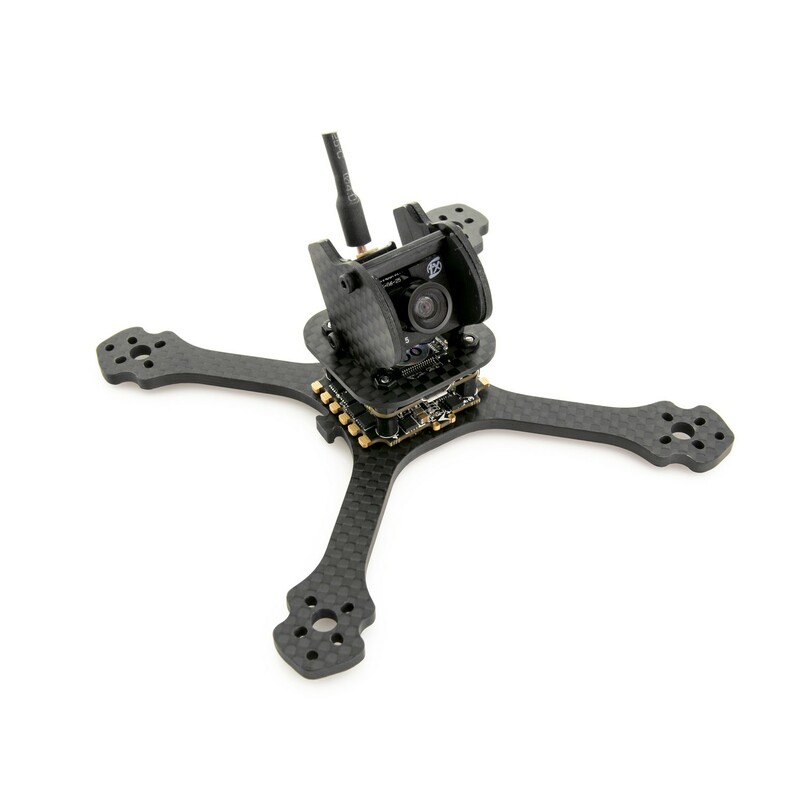 The PIKO 3" was designed to work with FPV Micro Camera / VTX combos. The camera has a built-in VTX and is able to be tilted to any angle because of the way it is mounted to the frame. Apply the included rubber side wall adhesives to the verticle side plates and the camera fits snugly in place. You can also use different FPV cameras, but you may have to add / remove foam/rubber to mount it just the way you want it. The motor mounts are designed to fit 110x sized motors with M2 mounting holes that are 9mm diagonally apart from each other. 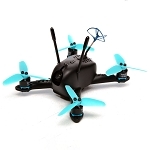 The QAV-PIKO mounts batteries on the bottom and comes with a LiPo pad and a rubber band to secure your battery to the bottom of the quad. The kit also comes with an XT-30 cable so you can use your high powered batteries as well as a smaller JST cable for more standard micro LiPos. 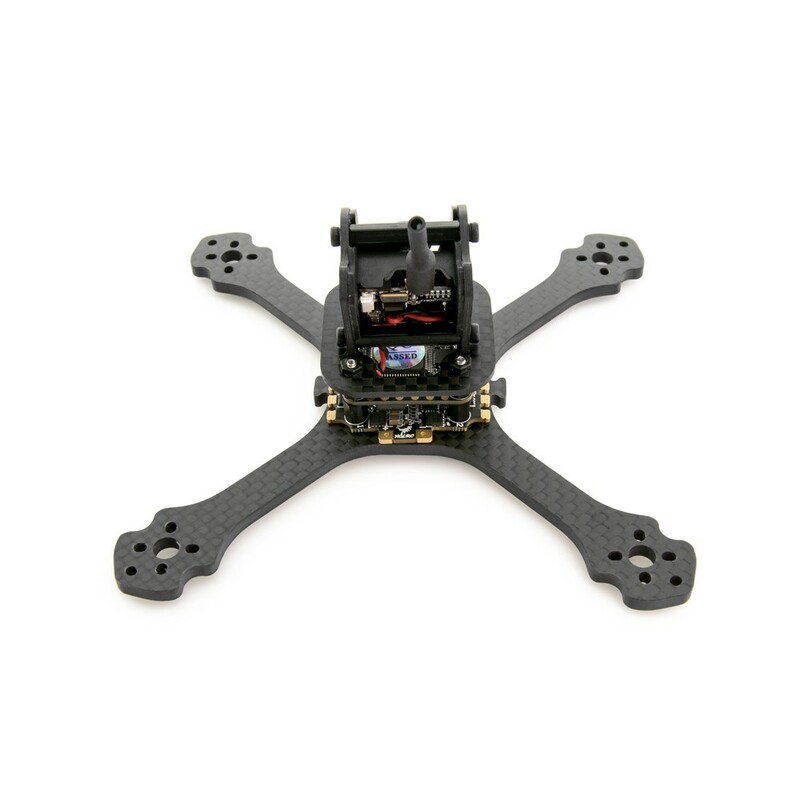 The QAV-PIKO 3" is able to run up to 3" props to give you some insane thrust for something this small, however, you could easily put a 2.2" or 2.5" prop and still rip! If you choose to go 3", a 2-blade prop would be more than enough, with smaller sized props you could get away with a 3-blade. 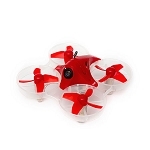 Note: This kit does NOT come with any electronics or FPV camera as shown in photos.